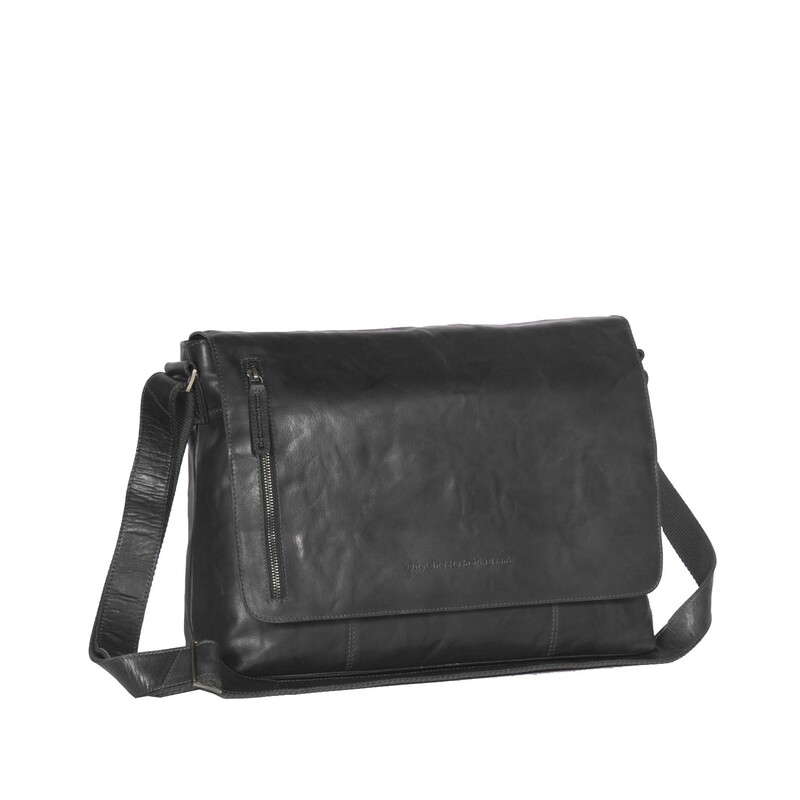 Stylish leather shoulder bag Maha by The Chesterfield Brand. The use of antique buf crumbled leather gives this shoulder bag a stylish look. The practical size and spacious main compartment makes this model perfect for daily use. 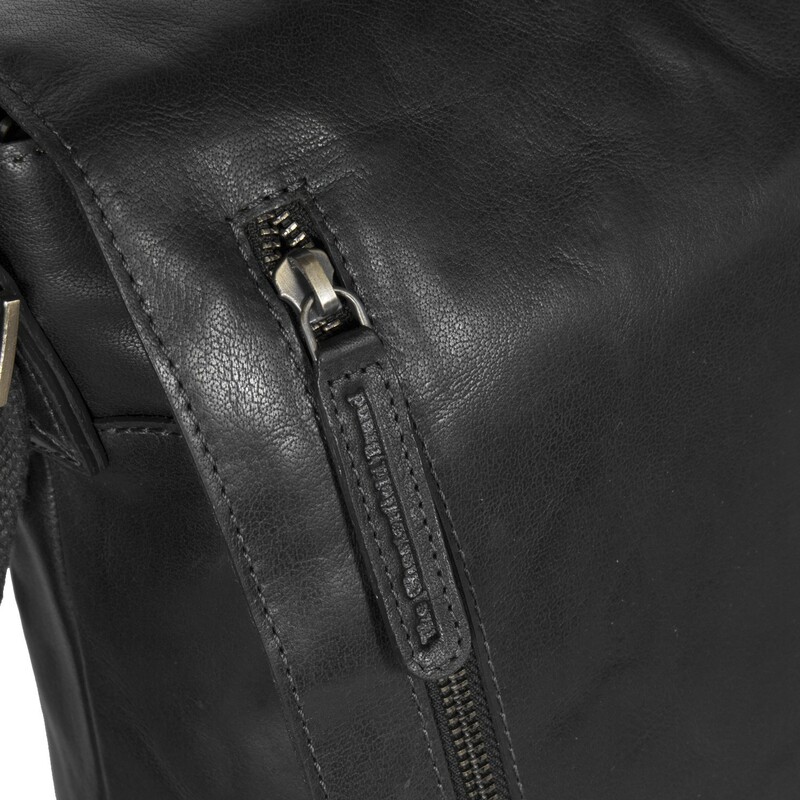 This shoulder bag has a wrap with a push fastener. By using magnets, this shoulder bag closes easily and quickly. 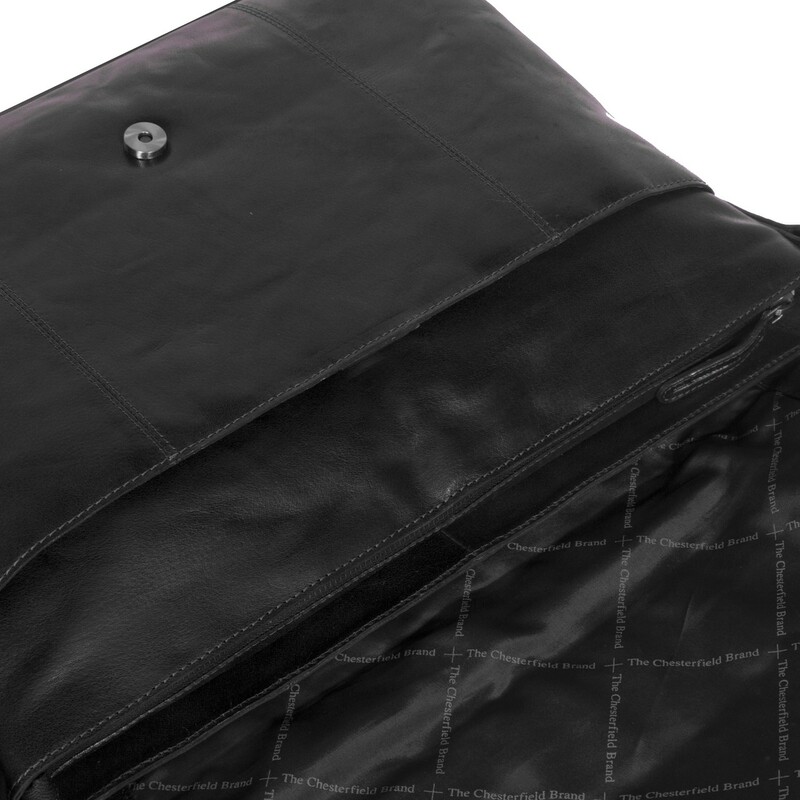 Below the wrap there is a spacious zippered main compartment and a compartment with a magnetic fastener. 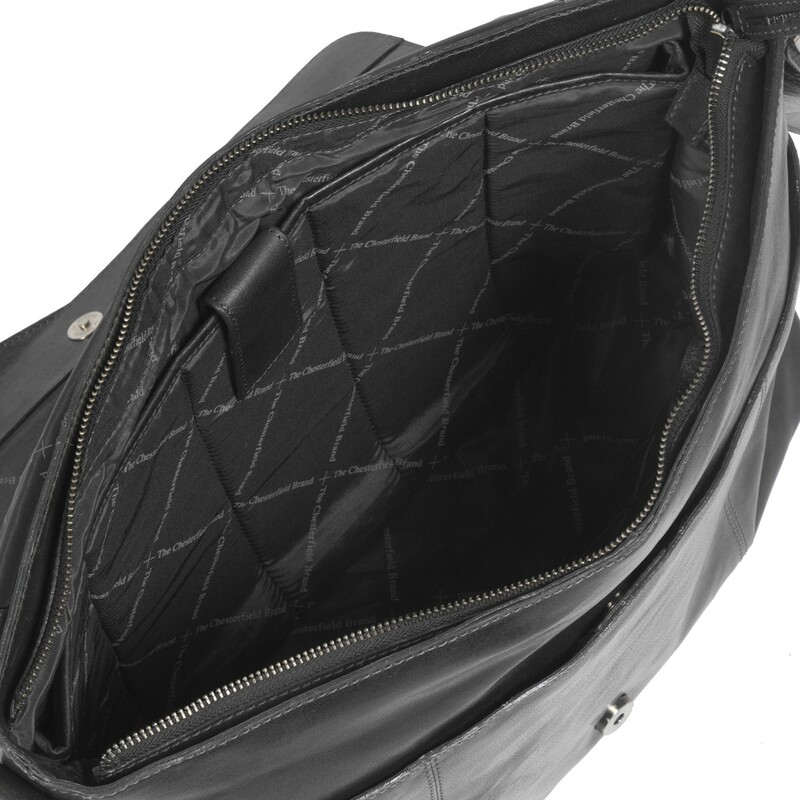 The main compartment has an extra zippered compartment and a compartment for a mobile phone and a reinforced compartment for a 15.4 inch laptop. The main compartment is large enough for, for example, A4 documents and folders. 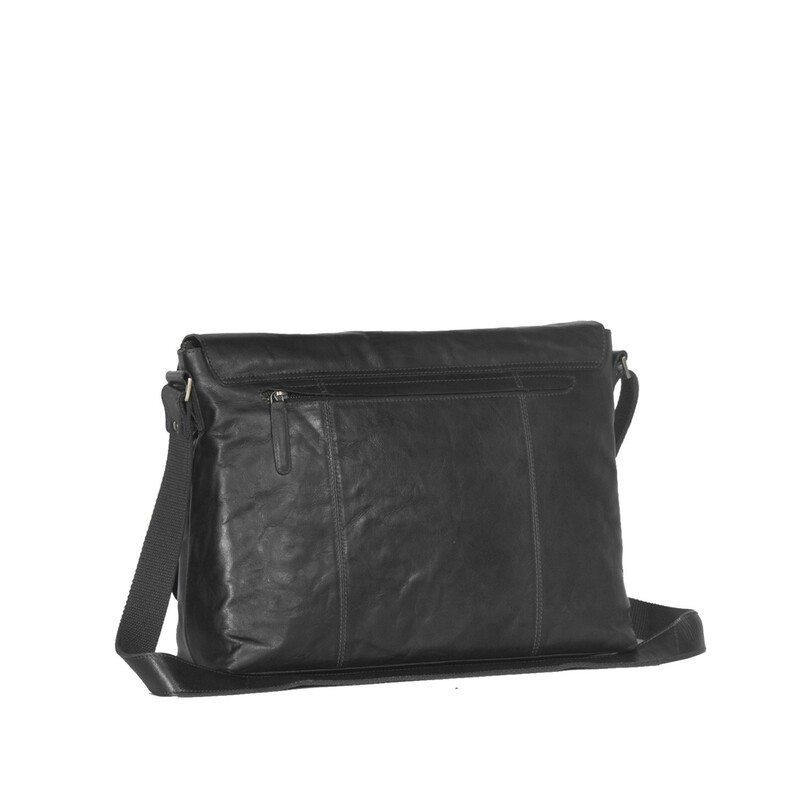 Both on the wrap and on the back, this shoulder bag has an extra zippered compartment. The extra wide shoulder strap ensures optimal wearing comfort. This Chesterfield shoulder bag Maha is made of high quality Antique bug crumbled leather. This leather type has a stylish antique look. The weathering creates a unique two tone colour. Antique bug crumbled leather is characterized by a soft and smoother structure. A type of leather which, as time goes by, only becomes more beautiful.